Police chiefs in the city of Richmond, and Chesterfield and Henrico counties said Monday that their radio traffic will be encrypted on July 2. After that, only public safety personnel will be able to monitor radio transmissions. The chiefs also said they want to ensure that the communication of sensitive personal information does not violate legal rights or privacy. Police in Virginia Beach — the state’s largest city — announced in May that they also plan to encrypt their radio channels. They said the move is aimed at preventing criminals from listening to police communications. 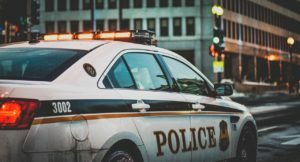 Encrypting police radio transmissions is not a new trend, but one that could affect the relationship between police and the news media, said Megan Rhyne, executive director of the Virginia Coalition for Open Government. “There’s not a statutory or constitutional right to listen to a scanner … but there has been this historical and practical relationship between the police and press to be able to have access to this so that the information can be gotten out to the public,” Rhyne said. Jay Webb, news director of WHSV-TV in Harrisonburg, said he is opposed to encryption, but realizes police have their reasons for doing it. “My biggest fear is that we’ll just flat-out miss things and will have to rely more and more on our viewers to tell us what they’re seeing because we can’t hear it on our scanners,” Webb said in an email. See more at VA Lawyers Weekly. Call the Law Offices of Collier & Collier to learn how this might affect the speed of your case or any other aspect of your life and well-being. For the latest legal news, advice, and more be sure to visit our website regularly. And if you have any legal concerns, be sure to contact us at 804-368-6368 for a free consultation. We service clients in Richmond and the surrounding areas. Home and hospital visits are available.